The turkey may be the star of the show on Thanksgiving, but it’s nothing without its delicious supporting acts, the sides! There’s never a better occasion than this holiday to go all-out on Thanksgiving side dishes. The problem is, you’ve been making the same recipes over and over every year since you can remember. It’s time for a change of pace, which is why we’d love to share some of our favorite Thanksgiving side dishes with you for 2018! No one’s going to say no to stuffing and sweet potatoes, but wouldn’t it be nice to try something new and fresh this year? Check out some of this year’s most popular, easy-to-make Thanksgiving side dishes. Ready to try a new twist on one of everybody’s most beloved Thanksgiving side dishes? 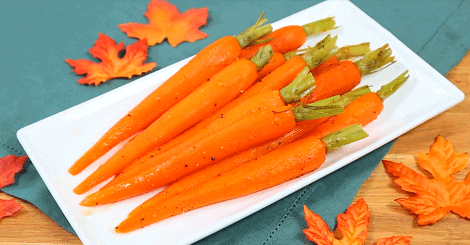 These orange glazed carrots are guaranteed to please your holiday guests, so be prepared for plenty of recipe requests! 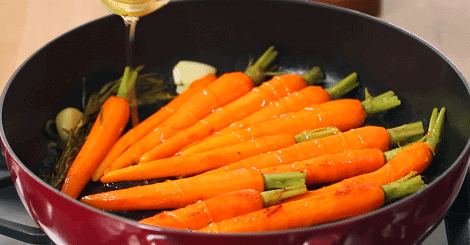 Pan fry the carrots in melted butter with garlic, rosemary, water, salt, pepper, orange zest and juice for 7-10 minutes. Remove the lid, drizzle honey over carrots, and cook for another 2-4 minutes until honey has caramelized. 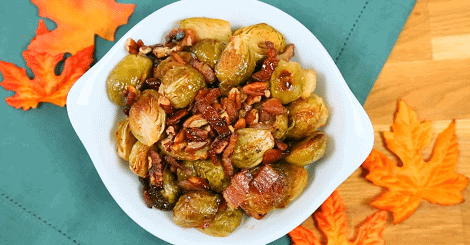 Not everyone is a fan of Brussels sprouts, but this recipe will have even the biggest sprout-hater begging for seconds. 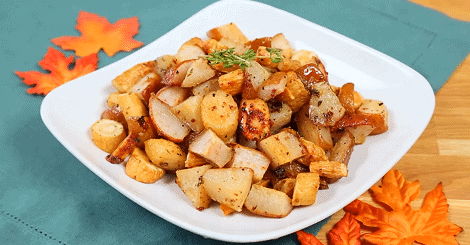 Thanksgiving side dishes that involve bacon and maple syrup usually do! Place the sprouts in a baking dish, cover them with bacon, season with garlic powder, and place in the oven for 15-20 minutes at 400°F. Next, toss the Brussels with maple syrup, pecans, and black pepper, and bake for another five minutes. If you’ve never prepared a dish with parsnips before, prepare to add a new favorite to your cooking arsenal! These versatile root vegetables look like white carrots and have the same sweetness, but also a peppery taste that pairs beautifully with pear. Season parsnips and pear with thyme and salt on a baking sheet, drizzle with oil and bake for 20-25 minutes. Whisk together Dijon mustard, honey, and apple cider vinegar, and drizzle vinaigrette over the baked parsnips and pears. Bake for another 3-5 minutes, and voila! Make sure to watch the full video for step-by-step instructions on how to prepare these delicious Thanksgiving side dishes! 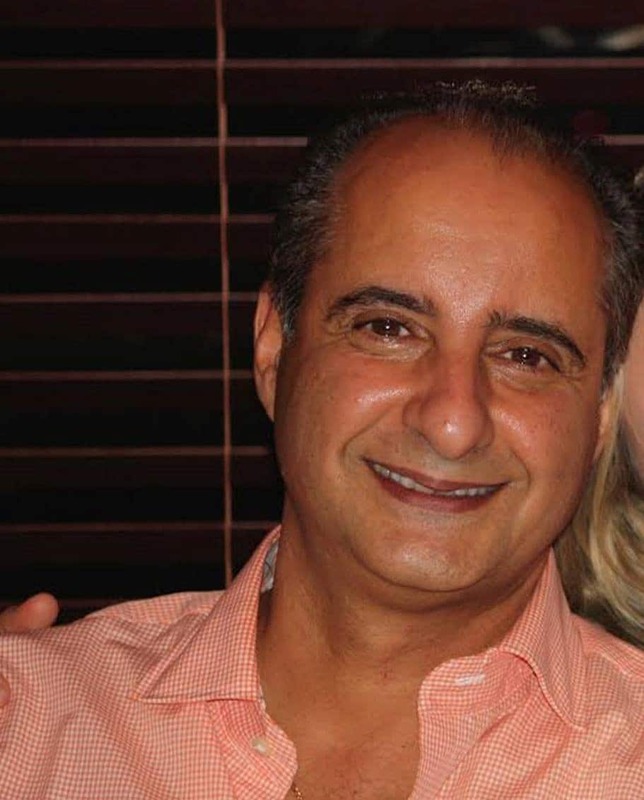 At Aviv Service Today, we want you and your family to have a wonderful, stress-free holiday. For more Thanksgiving tips, check out our guide for how to roast a turkey, and our top-5 holiday kitchen hacks.